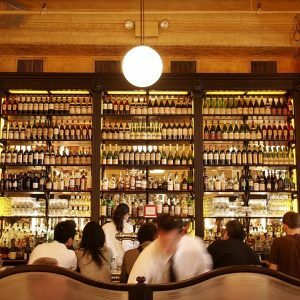 Balthazar is a legendary brasserie in Soho, NYC, known for its people-watching and classic French dishes (did anyone say fries!?). While this isn’t an insurance term, we thought it’s important for you to be in the know. Located on Soho’s Spring Street, this ever-trendy NY restaurant opened in 1997 by restauranteur Keith McNally. Serving breakfast through supper, and brunch on the weekends, Balthazar is a quintessential French brasserie that’s not in Paris. You’ll excuse the tiny tables when you get those steak frites. Since Balthazar is in every tourist guide ever written, you’ll see lots of people from around the world, making it a go-to people watching haven. Plus, it’s around the block from Lemonade’s NYC HQ!